While the Bible makes no reference to the Easter Bunny, in Christianity, Easter is the celebration of Christ’s resurrection. Some might say Easter is a Pagan holiday, celebrating the Spring Equinox. Either way and throughout history, the long-eared, fuzzy little creature who was known for its prolific ability to procreate, was seen as a symbol of fertility and new life. 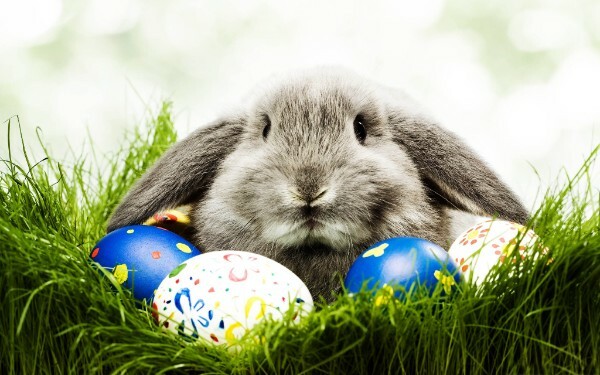 The tradition of the Easter Bunny was actually brought to the new world in the 1700’s by German immigrants, who called the hoppy little fellow “Osterhase” or “Oschter Haws”, meaning egg-laying hare. Much like Santa Claus, the Easter Bunny could see if little ones were naughty or nice and bring gifts accordingly. Children decorated nests so the Easter Bunny had somewhere to lay his colored eggs. Later on, as the tradition expanded, candy, chocolate, and other gifts were added, and baskets replaced nests. Here in Newfoundland and Labrador, our traditions for Easter Sunday are much the same. As a child, I remember hearing, “You better get to bed…the Easter Bunny won’t come if you’re not in bed.” And so, you tucked yourself in tight, closed your peepers, and dreamt of the chocolate eggs and molded bunnies you would wake up to find smothering amongst a basket full of synthetic grass. Come morning, sitting at the end of your bed, there it was…enough sugar to light you up for an entire week! So that’s it for me, but I’d love to hear from you. What are some of your Easter memories or traditions? The “Madman Morgan Murtagh” hadn’t always been called that. He had been a kind and gentle soul, with a love for music, family, and Fiona O’Shea. All that changed in the blink of an eye, when tragedy struck in his and Fiona’s world, causing her to send him away for good. Now, ten years later, Morgan is back. He finds his fascination with the girl hasn’t waned in all the years between them. But it seems, disaster and heartache cast it shadows upon the girl. Putting the past behind her, Fiona O’Shea, once shy and meek, has grown into a savvy and no-nonsense businesswoman. But her very livelihood is in jeopardy by the evil and corrupt, Kane O’Cuinn. Kane is relentless in forcing her to repay her bother’s debts…by any means necessary. All Morgan wants to do is get out of Galway…turn-tail and run again. But better sense tells him she needs his help. Will she let him back into her world? Not without a fight. 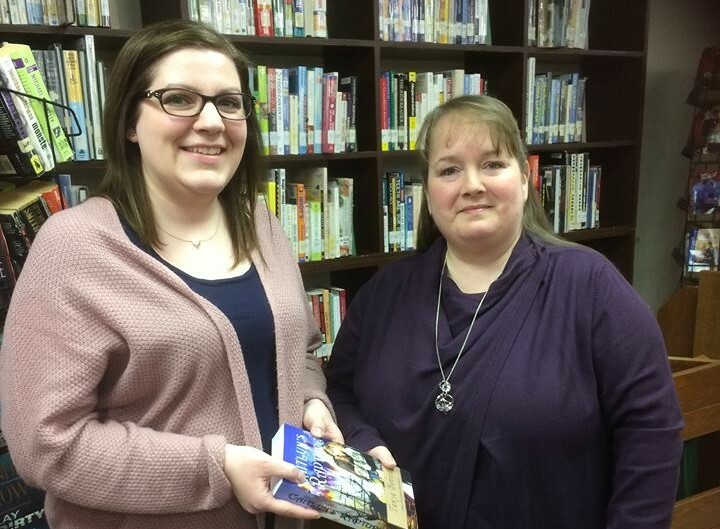 I was so honored to have been invited to speak at Love Our Local Author's event at the Wabush library on February 15th...just thought I'd share, in case you were unable to come visit. I'd like to say thank you to Alicia, the librarian, she is truly a wonderful lady. 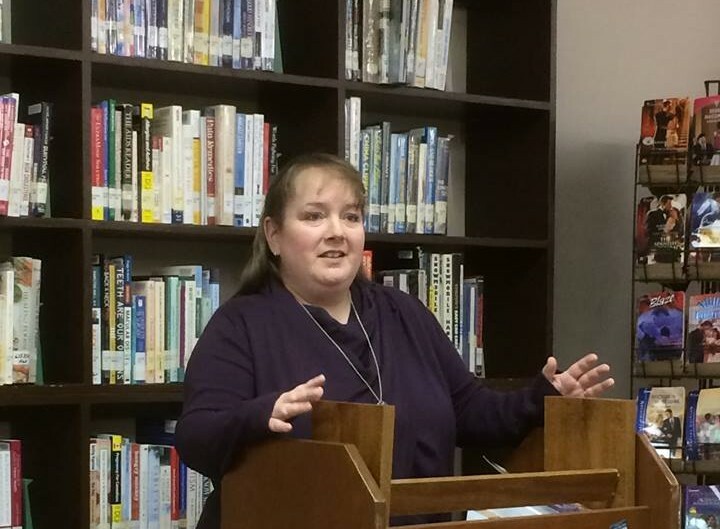 And thank you to the folks who came out to hear me chat about what I LOVE to chat about...books and writing! I hope to do it again real soon! NOW!!! What's next, you ask? Still the Thunder, that's what! 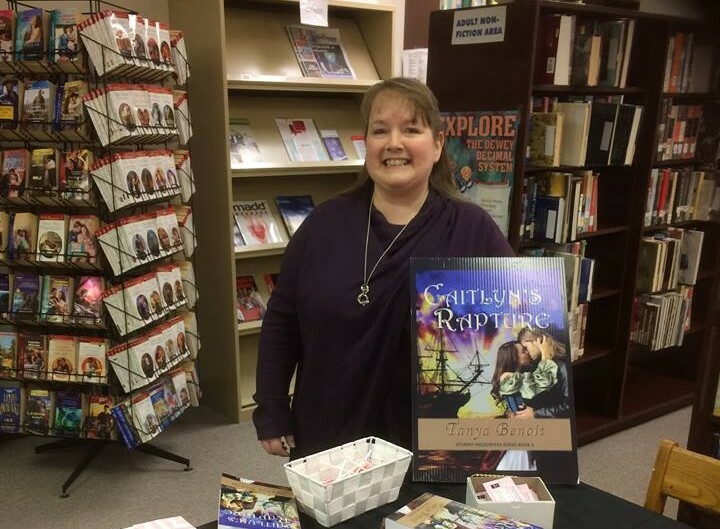 Book 4 in the Stormy Encounters Series! I am very excited about this one. We will learn a little about the characters we already know, and meet some new and interesting ones! The “Madman Morgan Murtagh” hadn’t always been called that. He’d been once a kind and gentle soul, with a love for music, family, and Fiona O’Shea. All that changed in the blink of an eye, when tragedy struck in his, and Fiona’s world, causing her to send him away for good. Now, ten years later, Morgan is back. He finds his fascination with the girl hasn’t waned in all the years between them. But it seems, disaster and heartache cast it's shadow upon the girl, once again. Morgan never wanted to return to Ennis - he'd rather let sleeping dogs lie, in true Murtagh form - but he can't possibly consider feeding her to the wovles. For the sake of his honour, he's left with no choice. He must return to Ennis and find out what the little lass has gotten herself into. She needs him now more than ever. He'll have to dig deep to find a way to convince her how much he's needed! Putting the past behind her, Fiona, once shy and meek, has grown into a savvy and no-nonsense businesswoman. However, her very livelihood is in jeopardy by the evil and corrupt, Kane O’Cuinn. Kane is relentless in forcing her to repay her bother’s debts…by any means necessary. Copyright Tanya Benoit. All rights reserved.